Marydore Monday 13.3hh registered New Forest mare 13 years old. Third in the National Finals NSEA eventing in October 2018.
and with all types of traffic. SAFE conveyance. ready to go. References available from DC and Instructors. Barnsby saddle/additional tack available separately. Current rider moving onto horses. 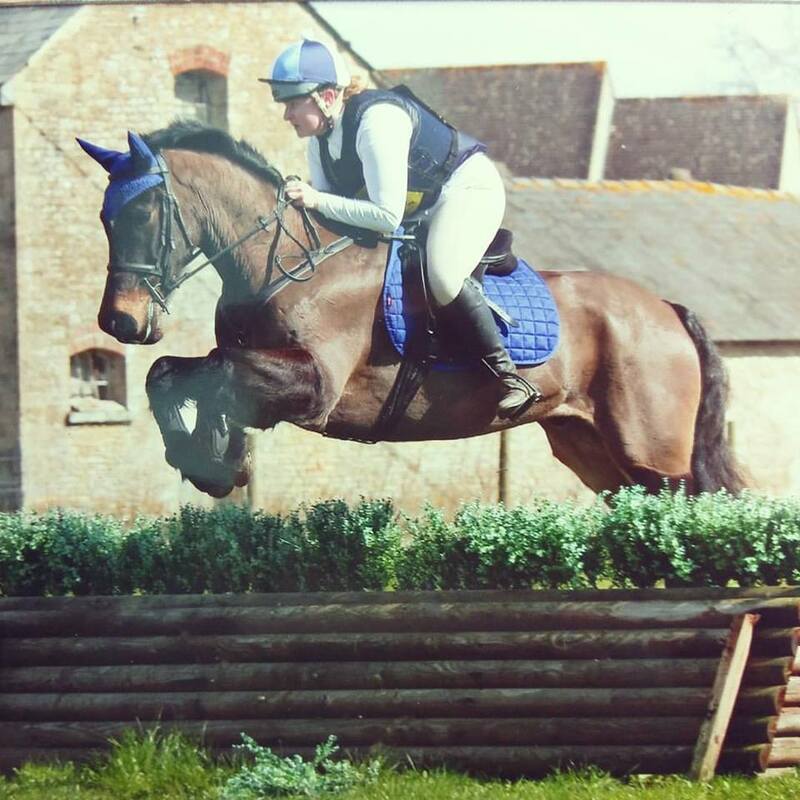 11hh -12.2hh straight forward superstar competition pony to do pony club and showjumping with for a competent small 6yr old jockey (riding solo for last year in all gaits / popping small fences). We have the most perfect first pony but now looking for the step up with a little more in the tank and ability to jump bigger courses. Please no vices. For age of jockey, needs to be entirely straightforward to ride and manage. Lovely home awaits with relentless pampering and every whim taken care of. Weekly lessons but also lots of hacking and relaxing time. Genuine happy all round home. Substantial budget available for the right pony. Or happy loan or lease. Sarah 07796 994488. A charming Dun Connemara gelding, 9 yrs old, 14.2 hh for sale. He is called Thorncroft Tinker. He has been ridden by a pony club family from my yard for the last 4 years. They have outgrown him so he is now for sale, for the first time in his life. He has done Senior camp for the last two years. He has very nice paces, a gentle nature, and happily jumps anything from 60-1.05 in a kind, straight rhythm. He is good XC, jumping ditches and water. He has good conformation and is very well bred. He could excel in Working Hunter classes. He does a good and accurate dressage test, and is easy for a child to achieve a nice outline. He is very good to hack, in traffic, box, load, clip etc. He is happy leading another pony or being led. Tinker loves beach rides, fun rides, hunting and all pony club activities. He would also be perfect for a small adult or a mother/child share. Our super loan pony is going back to his owner in May and we are looking for a new pony for many years of pony club fun with our two horse-mad daughters (9 and 7) who are currently OBHPC members. We also currently have a 12’2 ridden by our youngest who will also eventually grow into the new pony, so it will stay with us for many years. Experienced, loving and active pony club and hunting home awaits on private yard at home with other horses and ponies. Sami my 14.2hh registered Welsh D is my pride and joy and I’m exploring options for sharing him with a loving, competent rider. He is now 16 years old and I’ve owned him for 4 years. He is a gentleman in all ways when handling and riding. He has competed locally within the PC and RC, he excels in dressage and loves to jump. He competes comfortably at 80cm SJ & XC and would excel higher with the right rider and is also a bombproof hack alone or in company. Dark bay mare, 16h rising 6years, by Sandro’s Dancer (Sandro Hit) out of TB event mare. Produced, slowly last year, showing three correct paces and a great attitude towards work. Always receives good comments from dressage judges, would be good enough to do pure dressage. Bold xc and careful over a show jump. Lightly competed last autumn, at 90cm. Seen hounds proving to be a well behaved mannerly hunter. Very well behaved at competitions both on the ground and under saddle, good to box, shoe, clip, hacks alone or in company. Suit competent teenager or small adult. In the right hands would be serious grassroots prospect for the future. for more information, contact Ros Hayward, 07702959869, email ros.hayward@hotmail.com for photographs and videos. Looking for pony on long term loan 12.2-13.3 for 8 year old girl who can walk, trot, and canter well and pop small jumps. Would like to find a “been there done that” pony that can help her to progress – perhaps an outgrown pony or an older pony who needs a quieter life, to do a bit of everything with. Mare or gelding and ideally would live out 24/7. Good to hack and not worried around farm machinery. Would like pony to be responsive to leg but not strong and more push than pull – mostly need a true confidence giver gold dust type to restore daughters lost confidence! She loves to jump but on a pony that doesn’t leap 8ft into air unnecessarily! 😉 Would like to attend local competitions and events therefore pony must be good to load and well behaved at shows. Loving home awaits with previous experience of pony shares and ownership, regular lessons and a really supportive yard where help is always on hand. 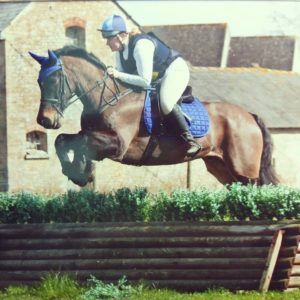 14 hh Reg Welsh Section D bay mare 11 years old. Sensible hack not strong or spooky,hacks alone or in a group.works well in school has competed dressage , SJ , HT ODE with several placing this year. Huge scopy jump but does not hot up or over jump with smaller fences. Attended PC events and competed at grassroots areas. Hunted and attended pc mock hunt. Pretty enough to show. Lives out not mareish and gets on well with other horses. Good to load, catch. Lovely to handle. Good with farrier, currently has front shoes only. We would love to keep her and continue to compete her ourselves but she is sadly outgrown! ( see pics) Excellent and experienced long term home needed for this lovely pony. Sold with tack. 13.2hh Bay New Forest Mare 15 years old. Sparky is a second pony who would suit either a small adult or a child with some experience wanting to do pony club activities. She has been owned by myself for 11 years and in that time has mainly been used for hacking, however, she has been on loan previously to a pony club home. Sparky is a lovely pony to handle, never bites or kicks. She is good to catch, load, farrier, dentist and with traffic. Sparky is now 15 years old and so I do not want her to jump any higher than 80. She must be stabled at night throughout the winter and the summer. References / loan agreement will be required. Sparky is a very special pony, all homes will be vetted and regular visits to see how she is getting on. If you are interested please contact Lisa on 07789763589. 14.1hh 10 year old coloured mare for sale through no fault of her own. Bee is a lovely sweet natured mare who is brilliant in every way. She has hunted, showjumped, evented etc. bee is a brilliant hunter, she is speedy but will come back to you and stand when asked to, she also has a brilliant jump and will jump anything. Bee has showjumped courses of up to 110 with me and previously competed up to 1 metre with scope to go higher. She hasn’t competed a huge amount due to lack of time but she is a very careful jumper. She would make a brilliant showjumping pony as she is quick against the clock. Bee has evented occasionally but would make a brilliant eventer. Has potential to do pony trials with work. Bee has 3 lovely, eve paces and produces a consistent outline. She would easily be able to produce low 30s and 20s. This is a genuine heartbreaking sale of a well loved pony so a 5* forever home is a must. She is fit and ready to go for winter hunting or showjumping. Hogging, mane & tail pulls at extra cost. All with bespoke heads/half heads clipped off by request. Mileage over 20 miles of my radius will be charged as extra. Battery powered clippers, no need for mains electric, just sufficient lighting when clipping! Providing house and pet sitting in the comfort of your pets home! Bespoke packages to suit everyone’s needs. Horses, Dogs, Cats and small animals. Trusted and reliable with references. In or around Oxfordshire, 20 mile radius of Burford ideally. My name is Axie Finch (20 yrs). I went to Chandlings, St Helens and now I am at eading Medicine. I was an active member of Old Berkshire Pony Club for the last 1years. your needs – someone to fill your shoes when you can’t be there. Please feel free to get in touch; I am always open to new ideas! axie@btinternet.comDO DO YOU NEED HELP THIS SUMMER?